Each year, artists and locals alike come out to support music in Portland! 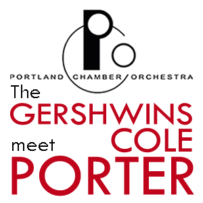 On June 3rd 2013, the Portland Chamber Orchestra is pleased to present vocalists Rocky Blumhagen, Susannah Mars and violinist Lindsay Deutsch as they perform “The Gershwin’s meet Cole Porter,” the music of George Gershwin and Cole Porter at Jimmy Mak’s in Portland, Oregon. This benefit event is perfect for those who appreciate great music and value Portland’s legendary Chamber Orchestra. 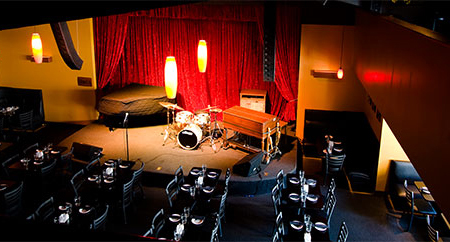 If you are looking to extend your weekend and are ready to enjoy a fantastic “Monday Night Out on the Town” in the warm and intimate jazz club setting of Jimmy Mak’s… Then please join us! This wonderful fundraising event is open to the public and PCO supporters alike. The Portland Chamber Orchestra is the oldest incorporated chamber orchestra in the country, the Portland Chamber Orchestra is known for its innovative concerts with a fusion of art forms. Its tagline is ‘the intimate symphony with infinite imagination.’ The orchestra is made up of local professional musicians. Portland Chamber Orchestra is funded in part by The Regional Arts and Culture Council, including support from the City of Portland and Multnomah County; and by Work for Art, including contributions from more than 70 companies and nearly 2000 employees in the region; and by the Oregon Arts Council and the National Endowment for the Arts, a Federal agency. The Portland Chamber Orchestra relies on the support of our donors and contributors to underwrite the costs of our performances (musicians, venues, etc.) Ticket sales cover less than one-third of our expenses. Please contribute whatever you can to keep the PCO performing this great music! For more information about The Portland Chamber Orchestra or to learn how you can become a PCO donor or contributor, please call (503) 771-3250 or Contribute Online. Jimmy Mak’s was Established in July of 1996 and founded as a small family restaurant. In the time since, the music has become their calling card as they showcase the world-class musicians that call Portland home. Offering up a mix of national, regional, and local artists, Jimmy Mak’s gives guests the opportunity to enjoy the top current names in jazz, and even discover a legend in the making. The recognition that Jimmy Mak’s has received over the years is a tremendous compliment to the musicians on stage, and to their audience, who continues to enthusiastically support live local jazz.